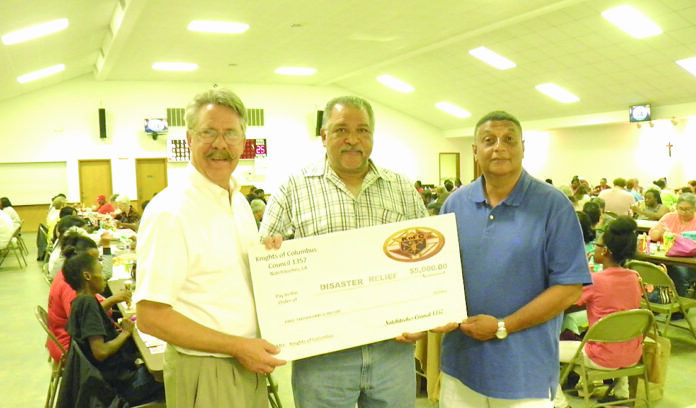 The Natchitoches Knights of Columbus donated $5,000 to hurricane relief efforts. The money will help victims in Houston, Florida and Puerto Rico. Thanks to the many loyal players at their weekly non-profit bingo, the Knights are able to support numerous charities important to our community. Three of the many volunteer bingo workers are, from left, Michael Yankowski, Emile Metoyer and Leslie Bayonne.